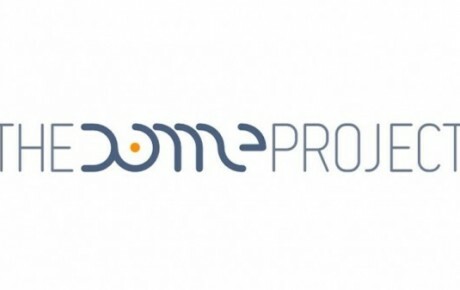 The Dome Project was presented at WAKE UP! SpielArt Festival in München in November 2013.
plays2place productions collaborates with INCA Catalunya – International Network for Culture and Arts for the Activist Theatre for Active Citizenship (A.T.A.C) Training Course. The project is developed within the framework of Youth in Action Programme and plays2place productions is represented by Martha Bouziouri. 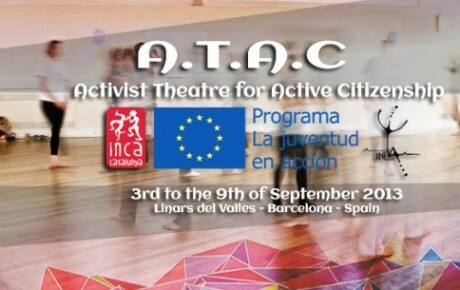 The training course “Activist Theatre for Active Citizenship” will take place in Llinars del Vallès (Barcelona), from the 3rd to the 9th of September 2013, for a total period of 7 days. 22 young people from Spain, Italy, Switzerland, Lithuania, Turkey, Hungary, Slovakia, Romania, Croatia and Greece will participate. The main topic of the project is European Citizenship, and the rights that go with it. participants through YouthPass, and at evaluating the project. Martha Bouziouri, plays2place’s artistic director, was selected by the Goethe Institut to participate in its new initiative, Cultural Innovators Network.